Lock in a great price for Complejo Enoturístico Finca La Estacada – rated 8.9 by recent guests! Full English breakfast plus full array of other foods. The only difficulty being we were unable to find the location as our sat.nav took into the town and then left us in the middle of the countryside, after asking directions we located the hotel. We had the misfortune to leave our suitcase at the hotel but after ringing the reception and explaining they agreed to forward the missing item and 2 days later it was delivered to our address. Excellent service. This hotel was not in Madrid, and that was the primary reason for selecting it. We were on a long drive across Spain. the promotion information listed 2 important qualities--free parking, and a restaurant on premises. Most important, when we arrived I discovered I had lost electronic adapter. The hotel staff found one for me, which made life so much easier! Spacious well appointed room with large comfortable bed. Friendly and attentive staff. Excellent bar and restaurant. Relaxing atmosphere. We have been to this hotel before so knew it was a good place to stay. The room was very comfortable with a complimentary bottle of wine on arrival (from their own vineyards) delicious. 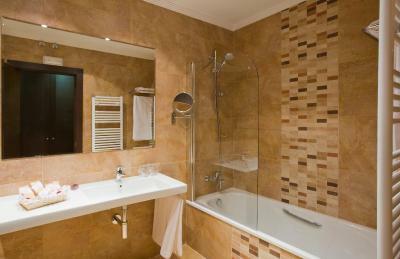 Huge bathroom with many good quality toiletries. Staff were welcoming and very pleasant and breakfast was fresh and delicious. Overall a great stopover en route to Bilbao port and back again to Mazarron, would definitely recommend it. Very convenient stopover half way across Spain. Excellent wine and tapas. Quiet location given the proximity of the motorway. Beautiful open views of the vineyard. Cleverly combines working winery with hotel spa and restaurant. Breakfast is served in the main restaurant, which is superb (restaurant architecture, views & food). Staff are/is friendly! Warm welcome at arrival and breakfast!! Complejo Enoturístico Finca La Estacada This rating is a reflection of how the property compares to the industry standard when it comes to price, facilities and services available. It's based on a self-evaluation by the property. Use this rating to help choose your stay! Finca La Estacada specializes in wine, with its own vineyard, wine cellar and a gourmet restaurant. It has a heated outdoor swimming pool, 2 paddle tennis courts and a spa. The hotel is set in the countryside of Castilla la Mancha, near the town of Tarancón. The cities of Madrid and Cuenca are both 40 minutes away by car. The hotel offers free private parking. Each room at La Estacada has a free mini-bar, with a selection of wines. Rooms are air-conditioned, and have an private bathroom with a hairdryer. Free Wi-Fi access is available. La Estacada organizes wine-tasting sessions and tours. It also has an ornamental vineyard. The complex has terraces and gardens, with olive trees and a fountain. The spa specializes in treatments using wine, with discounts for guests. 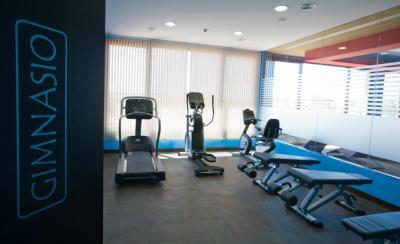 There is also a sauna and a gym. This property also has one of the top-rated locations in Tarancón! Guests are happier about it compared to other properties in the area. When would you like to stay at Complejo Enoturístico Finca La Estacada? This air-conditioned room features free Wi-Fi, a TV and a free mini-bar. The private bathroom comes with a hairdryer. This room also offers great views of the vineyards. House Rules Complejo Enoturístico Finca La Estacada takes special requests – add in the next step! Complejo Enoturístico Finca La Estacada accepts these cards and reserves the right to temporarily hold an amount prior to arrival. Please note that spa appointments must be arranged in advance and are subject to availability. There was no kettle in the room. Neither were there tea or coffee, so that we could prepare a drink. There was a bottle of wine, but it was unclear about charge. And, I was unfamiliar with the wine, not enough information about it, so we left it for another guest. The spa service was available, but at a significant fee--about $100 for 90 minutes. We could not open the drapes and see the countryside. They didn’t serve the desert I had ordered and the staff just ignored my repeated request to bring it. Tv was a little too small for such a large room and it would have been nice to pick up an English speaking news channel other than business or money programmes. No information in the room regarding restaurant opening times and the kitchen was not open in the evening until 8.30 for a hot meal. Beautiful building & decor. Staff friendly & spoke a little English. Excellent dinner but portions too big for me! Excellent wines. Good that you could try out their own wines by the glass before choosing which ones to buy the next day.